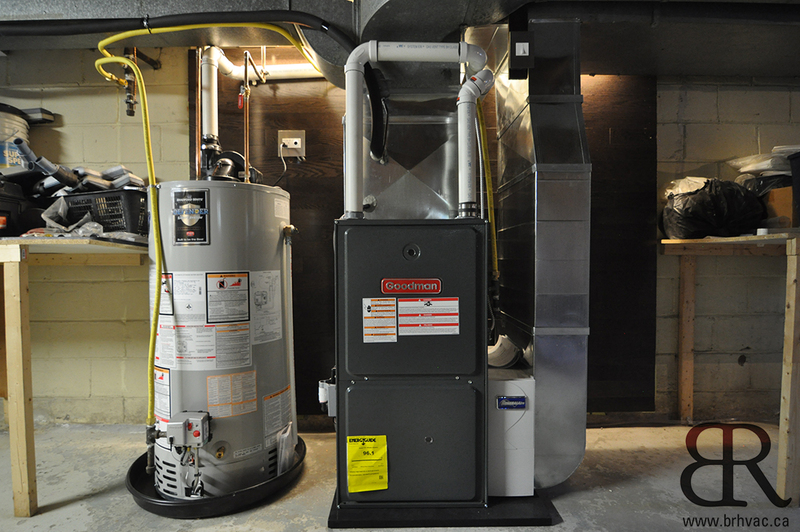 Furnace + Hot Water Tank. Like most mechanical rooms it was dark, creepy, and featured equipment that we turn a blind eye to. Luckily these homeowners of this 1950’s Toronto bungalow planned ahead and were willing to build something exciting! 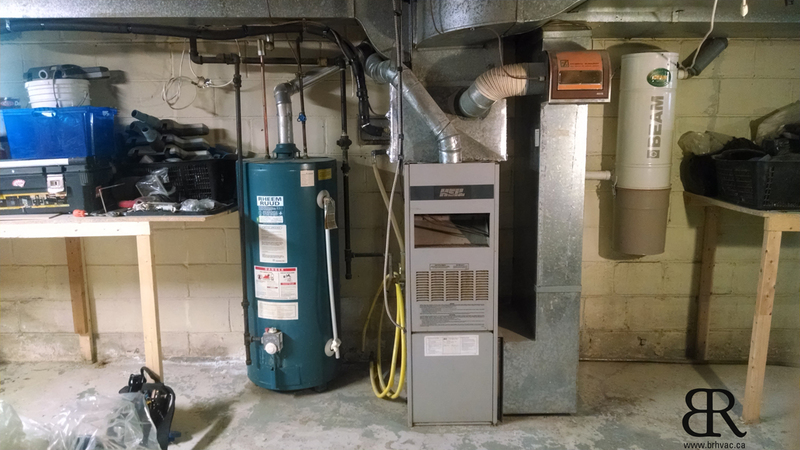 Furnace, Water Tank, and Central Vacuum replacement. 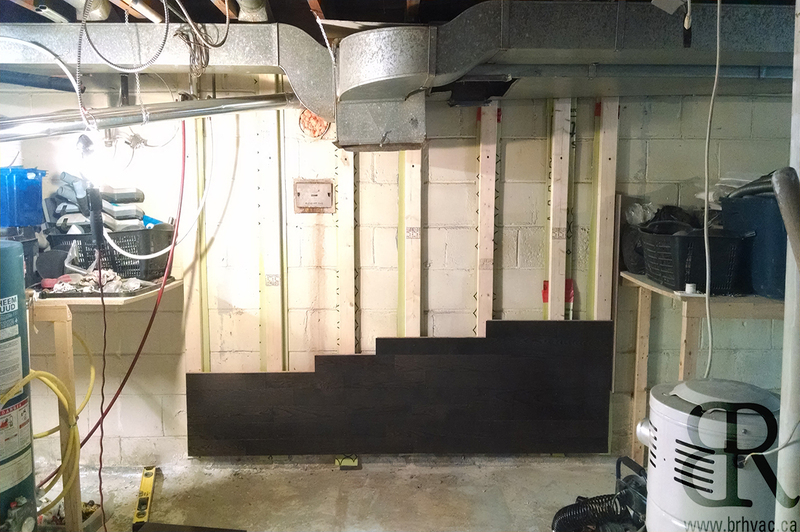 With new equipment and cabinetry we’ve added swag to the entire 700 sq.ft basement. Planning ahead nets better decisions. 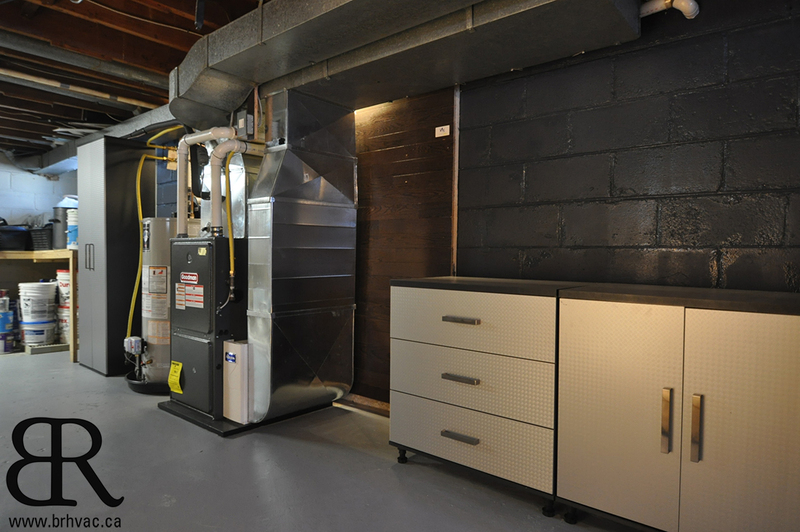 Here we decided to incorporate the furnace room into the basement – which was exposed – to create an Open Concept Mechanical Room. 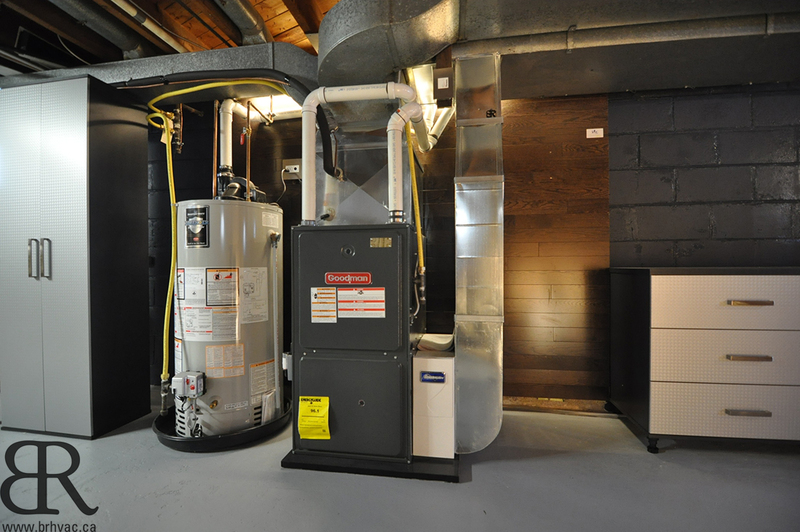 By replacing the HVAC appliances, using high quality workmanship and interior design, we had a modern plan that was going to impress visitors. The first step was to empty the room leaving behind only ducts and water lines. 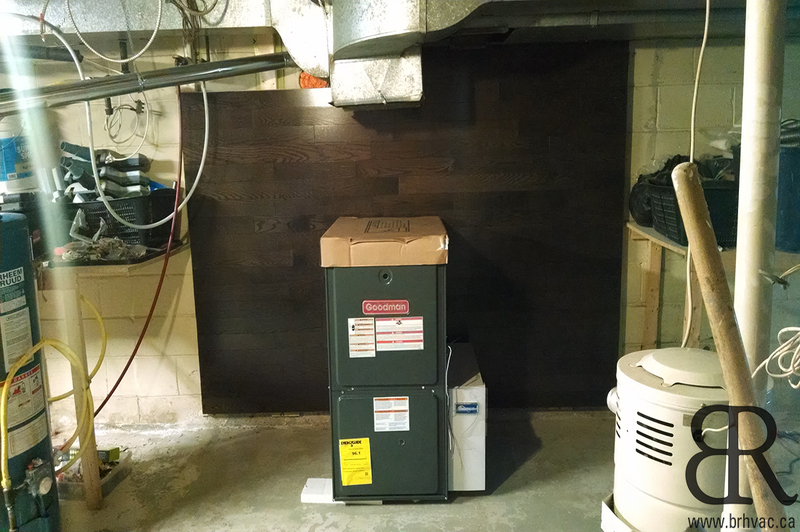 An accent wall was built behind the future appliances to make a boring furnace room look more desirable and unique. Canadian red oak was chosen for the wall spanning 8’ in length. Goodman is the largest manufacturer of HVAC products in North America. Their core values are reliability, easy serviceability, and industry leading warranty. It was a no brainer to go with a Goodman GMVM96 with 2-stage gas valve, variable speed fan motor, and an oversized 5” media filter. The accent wall is illuminated with LED’s to give it the wow factor. New metal for the return drop gets rid of old dust. 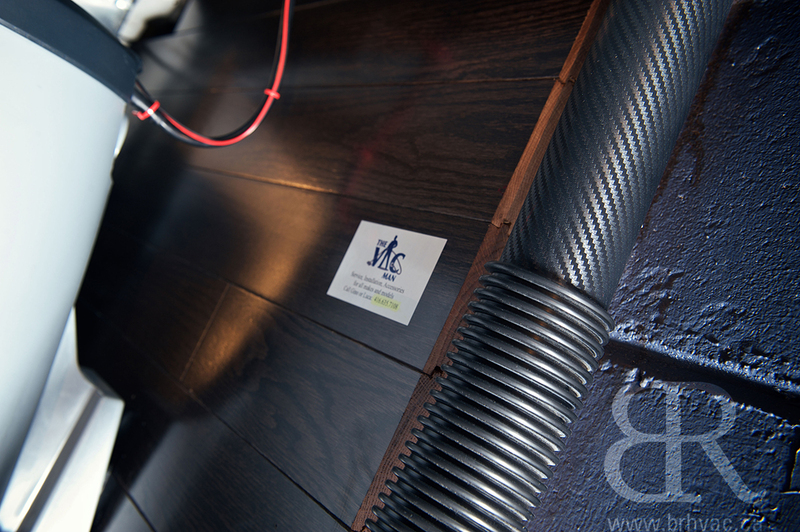 Venting, wires and gas lines were carefully joined and tucked away neatly to eliminate clutter. 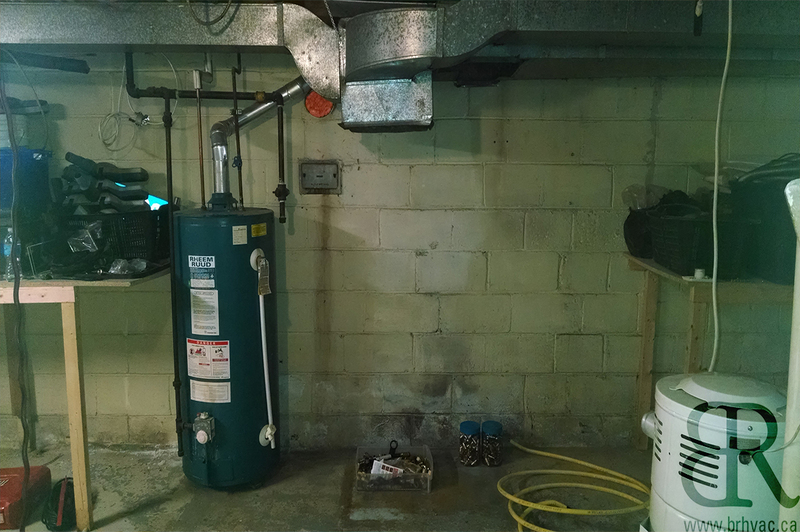 A 50 gallon water tank was chosen for its reliability and peace of mind for the next eighteen years. 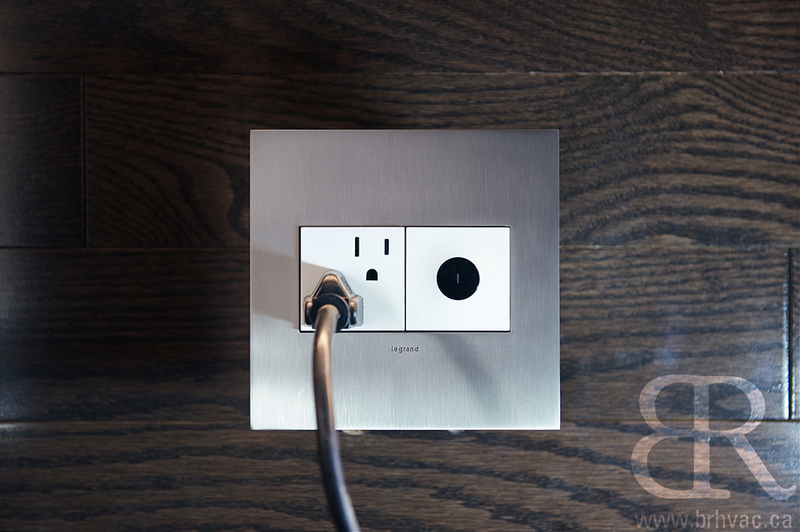 Switches with stainless steel covers compliment the mechanical room, making it truly feel modern. 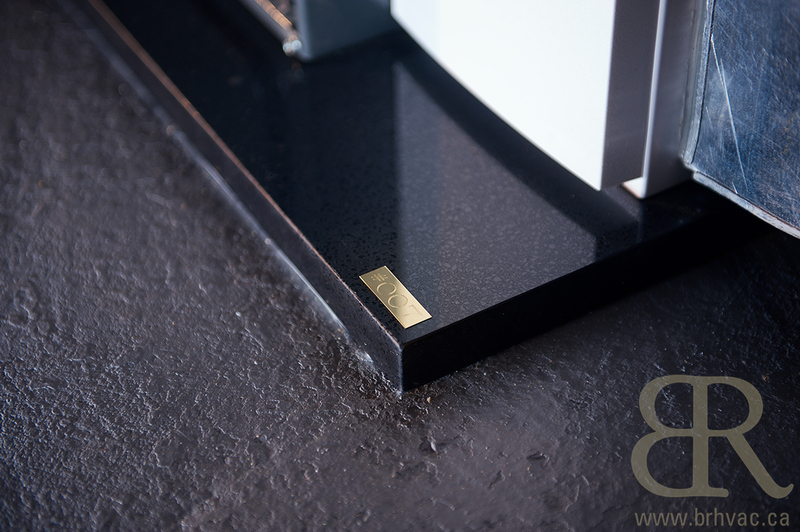 A Blackrock optional granite equiptment pad Serial #007 was placed underneath the furnace like a boss. Once all the equipment was tested and the gaps in metal were siliconed, the floor received two coats of paint, the results were amazing. Black & Decker cabinets made their way for additional storage that was impossible to envision before. Benjamin-Moore paint was used on the walls to give the room style. 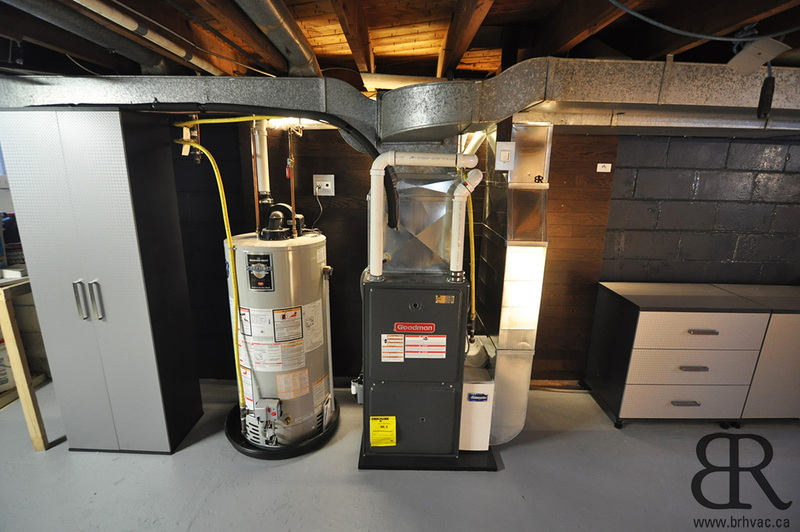 Central Vacuum was updated by The Vac Man, Toronto’s Central Vacuum Specialist. 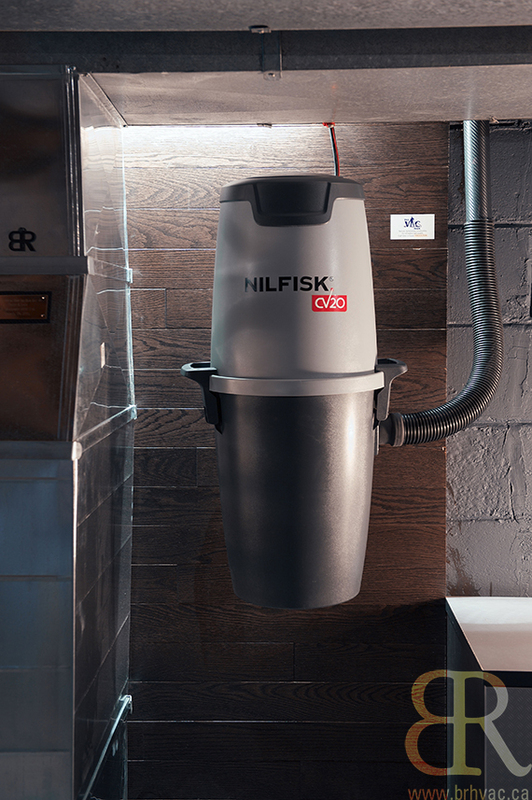 This home now sports a Nilfisk unit with an Italian motor and some carbon fiber swag. 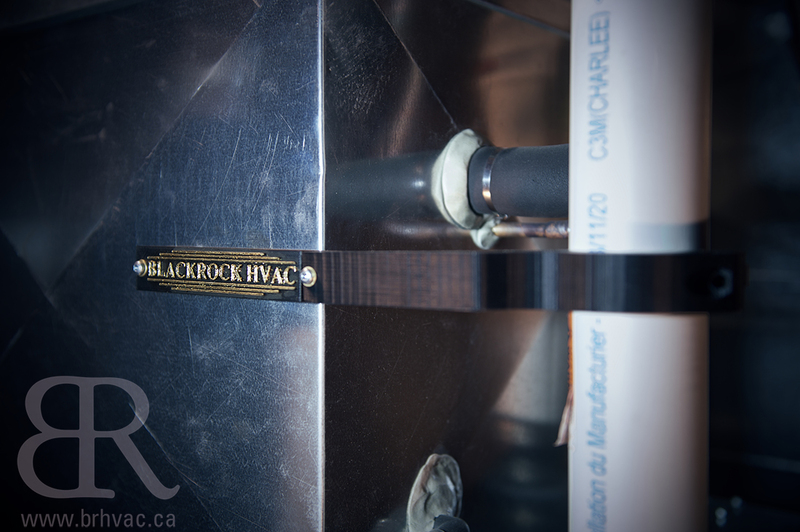 No Blackrock HVAC installation would feel authentic without some custom 3D printed functional items. 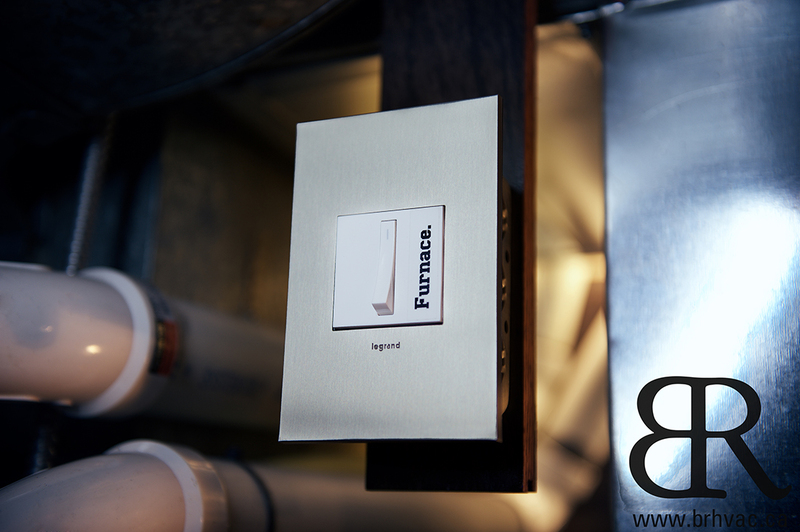 In this mechanical room we had Rapitaro Designs print us a exhaust vent bracket with a gold leafed embossed logo. We’ve come full circle since the 1950’s. What you’re looking at now is the new norm: a functional, reliable, organized room for your renovated home. 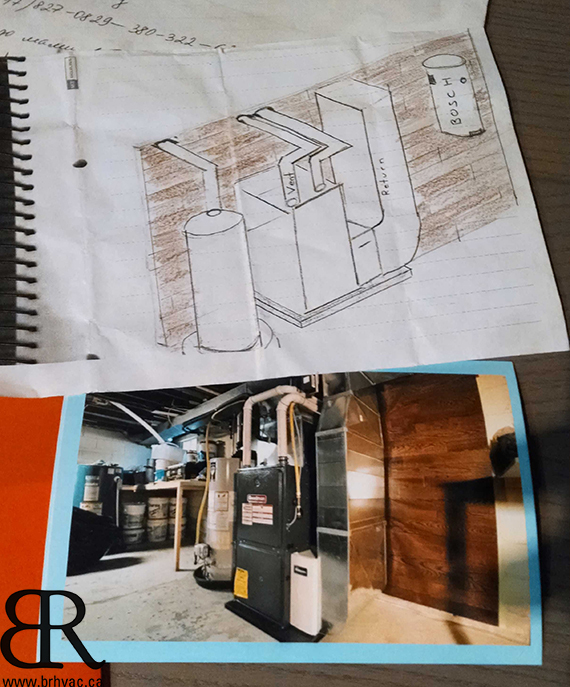 Creative customers let us challenge ourselves and at the same time push residential HVAC design forward. 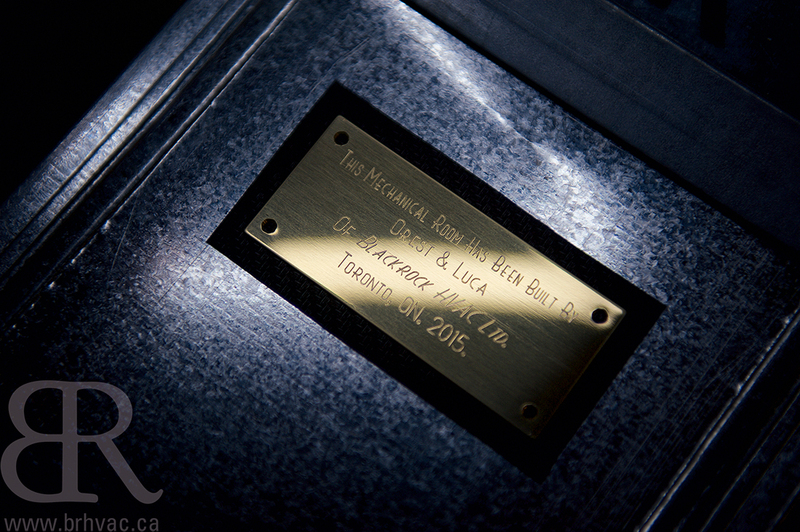 Thank you for you interest in Blackrock HVAC. Please share with us by phone or email. 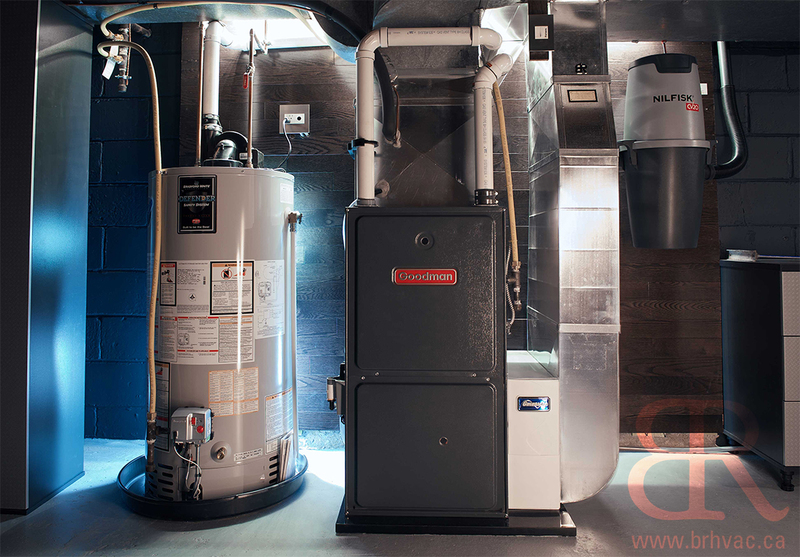 Furnace installations start at $5,000 + HST and have many humidity, filtration, and fresh air options.